Crony Capitalism: Not Just For Companies And Politicians! 'Scandal Free' Obama Administration AG Eric Holder Spiked Criminal Charges Against UAW VP General Holiefield Sometime In 2014. Detroit is atwitter over the criminal indictments that dropped on 26 July against former FCA (Chrysler) labor negotiator Alphons Iacobelli, UAW VP General Holiefield’s widow, Monica Morgan, and FCA financial analyst Jerome Durden. They looted the the UAW-Chrysler National Training Center (NTC) and bought a lot of bling with the proceeds, which were laundered through a charity called Leave the Light On Foundation created by General Holiefield. Criminal use of bogus charities is a whole story in itself best left to another day. Prior to this little imbroglio, General R. Holiefield and his wife Monica Morgan are fondly remembered for a ‘gun cleaning accident’ on 30 December 2013. In light of last week’s indictments, that event is now probably subject to some reinterpretation. Were they battling over ill-gotten lucre? General Holiefield died from pancreatic cancer on 9 March 2015. Holiefield was a mover and shaker in Southeast Michigan Democrat Party politics. He was the UAW’s point man in negotiations with President Barack Obama’s automotive task force and persuaded the government to bail out Chrysler, instead of allowing it to be liquidated. His results speak volumes: Holiefield was tight with the Obama Administration. ….In 2015, Iacobelli was preparing to lead Fiat Chrysler through another round of contract negotiations, meeting in the spring of that year with automotive reporters to brief them on the automaker’s view of the upcoming talks. Suddenly, in June 2015, he resigned without explanation. Last week, Fiat Chrysler said that was the month FBI investigators briefed the company about its investigation…..
General Holiefield’s sickness and death in 2015 will be cited by Holder’s defenders as the reason no indictments dropped in 2015, but this ripoff was known to the Feds back in 2013, before Holiefield got sick. The investigation began at the UAW end, so the Feds had lots of evidence against Holiefield by the middle of 2014. Holiefield was forced out of the UAW in 2013 when the union got wind of the NTS looting. The UAW is now busy purging the late VP Holiefield from all their digital media. They just wiped his 2013 retirement announcement. But the internet is forever. 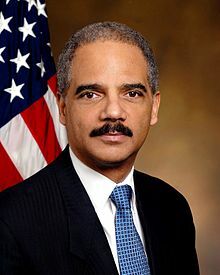 AG Holder could have indicted Holiefield in 2014, but chose not to. United States Attorney for the Eastern District of Michigan Barbara L. McQuade didn’t object, she was a team player. Holder’s successor, Loretta Lynch, could have authorized last week’s indictments in the waning days of the Obama Administration, but chose not to. This criminal conspiracy was politely politically ignored for over three years. The fix was in, but no more. AG Jeff Sessions is breath of fresh air and honesty at the U.S. Department of Justice. …….Retired UAW Associate Director Virdell King has hired a criminal defense lawyer amid questions about personal purchases made through a UAW-Chrysler National Training Center credit-card account, according to two sources familiar with the investigation. The training center funds are supposed to benefit blue-collar workers. The focus on King provides a partial roadmap of additional people who could be charged in a high-profile criminal case that alleges FCA and union leaders spent more than $1.2 million on luxury items instead of using the money to benefit training of Fiat Chrysler hourly workers. The indictment references, but does not identify, a handful of other union and automaker officials accused of participating in a scheme to pay off UAW officials……. Rumor has it that at least 10 more indictments are going to drop. The UAW is going to be busier than a whole soviet of good Stalinist apparatchiks wiping their recent history of criminal collusion. The embarrassment of crony capitalism. Will the UAW membership care? What a difference a Presidential election makes…..
General Holiefield - typical Democrat - takes the Edward H. McNamara way out by dying of cancer to avoid prosecution. I delivered to a former B3 plant last night. The people working there couldn't tell you who the local big kahunas are (even though the plant elections were not even two months ago), much less who is at the top of the UAW totem pole. I knew it was going to get real fun--and all Trump had to do is tweet his disappointment in his AG. McQuade heeded the notice and is finally doing her job, lest she loose it. And now you know the reason why the blue collar workers voted for Trump--corruption--years of it--we're all sick of it and it's looking like we're going to need new prisons. I hear there's room at a federal prison on the bay near Cuba. Didn't Sessions just visit there. Was he looking for accommodations to house riff-raff off the mainland? We can expect more of this--next to fall, Debbie Wasserman-Schultz--and her co-conspirators the Awan boys. Watching this has been real fun--"there will be consequences" for Debbie--BTW the first Awan boy to get it is being represented by the same attorney who fact-checked Billy-Bob Clinton's book--who immediately used the race/religion cards and its been reported is cousins with DWS. The Awans probably could have gotten away with it longer but for the greed of renting a house, to a former Marine finding a garage full of evidence. This ain't "Collusion"-- RICO by any other name. . .
A one-time rising star at the UAW became the fourth person today charged in a growing federal corruption probe involving Fiat Chrysler executives and union officials who allegedly stole worker-training funds to buy trips, designer clothes, a Ferrari, shot gun and $37,500 Mont Blanc pens. The charges filed today against retired UAW Associate Director Virdell King also raise, for the first time since the scandal became public, the issue of whether the corruption between company and union officials influenced the UAW's positions with the company, raising the possibility that it influenced its contract. Both the union and the company have both denied that its contract covering more than 30,000 workers was influenced by the corruption. King, the first African-American female to be elected president of a local union in UAW-Chrysler's history, was charged in U.S. District Court today with being part of a conspiracy that involved the theft of more than $4.5 million in autoworker training funds. What is it with the $ 37,500 Mont Blanc pens? These people are veritable illiterates. And here I am signing in at WTAP last week with just a plain old Bic stick pen.